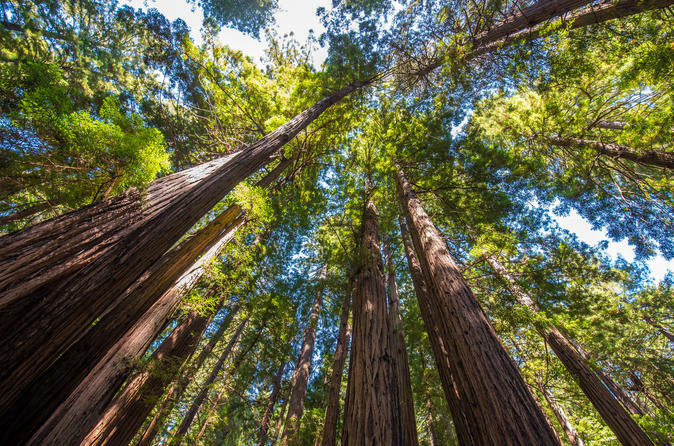 Muir Woods, located just 12 miles from San Francisco, is a United States National Monument- and with good reason. With its majestic redwoods, Muir Woods is a must-see for those who have never had the opportunity to appreciate the enormity of these unique trees. The fog that often envelopes the forest gives one the impression of walking in a magical place. Some of the wildlife you may encounter include black-tailed deer, foxes, mountain lions, and chipmunks. Over 50 species of birds make their home in Muir Woods. This popular nature area is conveniently located just north of San Francisco. 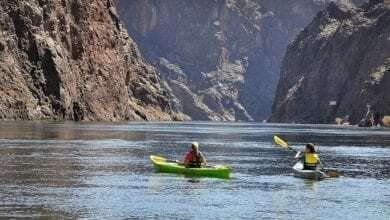 There are gobs of tour operators that offer visitors the opportunity to explore the woods, in combination with other activities, or just the woods alone. Be sure to see our reviews of wine tours to Napa & Sonoma Valley. Yosemite Tours and Alacatraz tours. We have reviewed the top rated Muir Woods tours, providing overviews and highlighting the details of each. We also make recommendations on staying in San Francisco in our guide section. Departure time: Operator will confirm time of departure via email Various- 9:00 a.m., 11:00 a.m., 2:00 p.m., 4:30 p.m 9:30 a.m.
Departure point: Gray Line Visitor Center, 478 Post Street. We recommend this tour for those who want the convenience of a coordinated Muir Woods day trip and boating adventure in San Francisco Bay. Viewing the San Francisco waterfront from the Bay provides allows voyagers to appreciate a different perspective of the area. This well-organized tour includes a visit to the Muir Woods National Monument, a stop in the inviting town of Sausalito, and a boat cruise through San Francisco Bay. The unique vantage point from the Bay affords great photo ops of the Golden Gate Bridge. Your enthusiastic and entertaining guide/driver takes advantage of the travel to Muir Woods to provide interesting information and to answer your questions about the San Francisco and Marin County. While in the woods, you’ll have time to explore some of the trails on your own. There are plenty of options and levels of difficulty, so those who aren’t able to manage hillly trails will find one that suits them. While in Sausalito, you’ll have about an hour to enjoy lunch on your own (or go shopping, if you prefer). Your tour guide will give you insider information about the best places in town to shop and eat. After your trip to Muir Woods and Sausalito, you’ll return to the pier where you’ll board the cruise boat. Make sure to bring a windbreaker, as it can get chilly on the water. We love this addition to the tour. Getting out on the water isn’t only fun, but it offers unparalleled views of the bridge and coast. 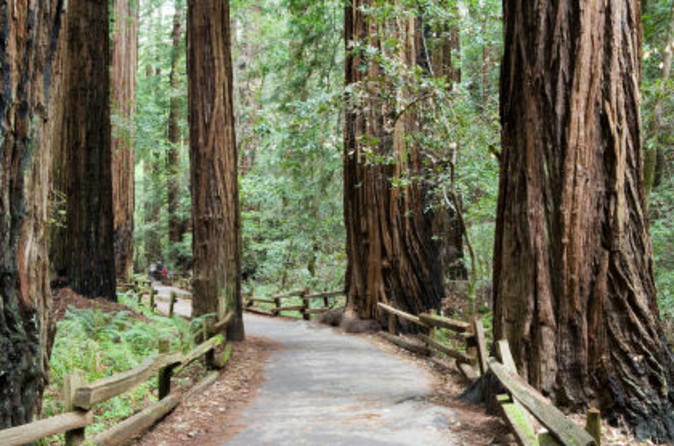 Departure time: Various- 9:00 a.m., 11:00 a.m., 2:00 p.m., 4:30 p.m.
We recommend this tour for those who want to focus exclusively on beautiful Muir Woods, but don’t want the hassle of driving on their own. It’s an excellent option for those who want to catch a glimpse of the redwood forest near San Francisco while reserving a portion of the day for other activities. A large comfortable motor coach or van will transport you to the woods. This 3 ½ hour trip offers a relaxing and peaceful break from the more hectic vibe of the city. Your friendly, fun driver/guide will entertain you during your trip to provide interesting information about the woods and the area in general. 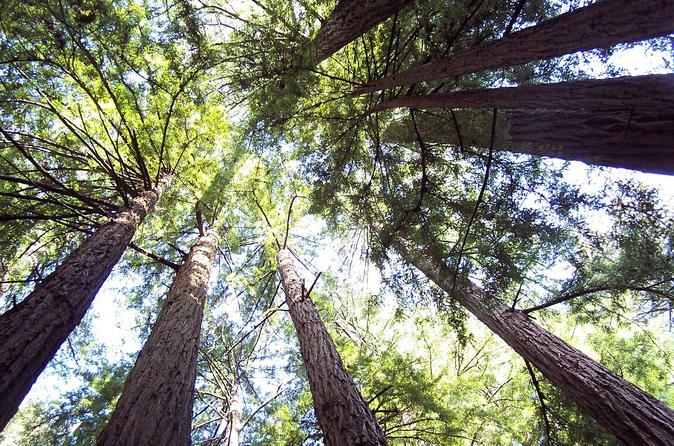 Once you arrive at Muir Woods, you will have a good 1 ½ hours to explore on your own. There are plenty of areas where you can break from the group to enjoy some solitude under the impressive redwoods. We recommend this tour for those who want have a closer look at the city, combined with an outing to Muir Woods. Because this tour is geared toward small groups, it’s a good option for those looking for a more intimate and personalized experience. Your Ultimate Day in the Bay tour is a great way to start your stay in San Francisco for getting oriented with the city. You start off at Fisherman’s Wharf, where you’ll board an air-conditioned minibus to explore the diverse neighborhoods and must-see attractions in San Francisco. A few neighborhoods you’ll discover include Chinatown, Little Italy, and The Castro. You’ll have plenty of opportunities to snap photos of some of the Bay area’s most famous landmarks like the Golden Gate Bridge and Twin Peaks. Enjoy engaging commentary throughout the trip from your informed driver/guide, who will share interesting facts and stories about the area, including its history, architecture, and culture. Take advantage of his insider perspective to discover locals’ favorites that are worth checking out on your own. 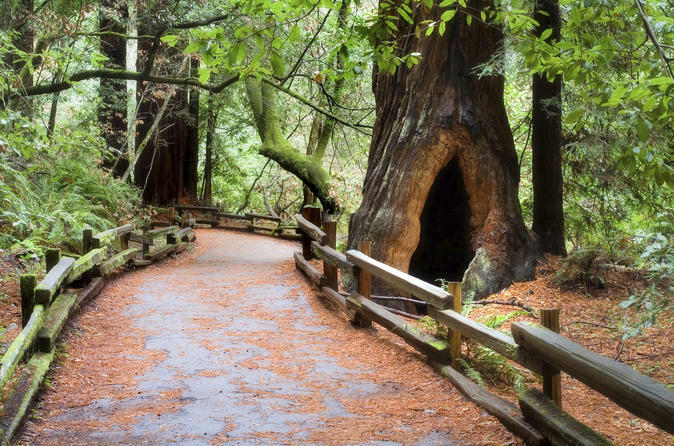 After arriving at Muir Woods, you’ll have about an hour to explore. The park has a slew of trails with varying levels of difficulty, so any visitor should be able to enjoy a walk among its awe-inspiring redwoods. On your trip between San Francisco and Muir Woods you’ll stop in picturesque Sausalito for lunch on your own. We recommend this tour for those who want to squeeze in the sights of the city and experience Muir Woods within one day. This tour is good for those who are comfortable in a large-group setting. This one-day tour will ensure you see all of the area’s highlights while being entertained by your driver/guide. Some of the city sights include the Presidio, the Golden Gate Bridge, and Fisherman’s Wharf. Through the city portion of the tour you’ll gain an appreciation for the culture of San Francisco’s most renowned neighborhoods like Little Italy (North Beach) and Chinatown. Your knowledgeable tour guide will stop at various sites where you can jump off and take pictures. While there. a park ranger will go into detail about the famous Muir redwoods and local wildlife. There is a network of trails where you can meander off on your own to enjoy a bit of solitude. Your group will stop in seaside Sausalito where you can grab lunch on your own or do a little shopping. Make sure to ask your insightful tour guide for tips on the best places to check out. Departure time: between 7:30 a.m. – 8:30 a.m.
We recommend this tour for those who are short on time but don’t want to scrimp on experience. Wine and nature-lovers alike will find this tour satisfying and comprehensive. A gourmet three-course meal is offered as an upgrade. The bus that transports you to the redwoods near San Francisco and the wineries offers pickup and dropoff for most area hotels, so be sure to check with the operator to see if your hotel is eligible. This tour packs in a lot of ground in a short period of time, but you won’t feel rushed. Someone else will do the driving while you relax and travel from San Francisco to wine country and Muir Woods. All you need to do is show up and enjoy the ride while taking in the Northern California countryside. The first leg of your trip will take you to Muir Woods, where a guide will provide commentary about its world-renowned redwoods. You’ll have time to explore the parks nature trail where you may catch a glimpse of its abundant wildlife. The wine-tasting portion of your tour will take you to both Napa and Sonoma valleys. You’ll visit three charming wineries selected by the tour operator where you’ll learn about winemaking and will have ample opportunity to try several varieties of wine. On this tour, you choose your own lunch experience – either on your own (make sure to ask your tour guide for recommendations) or accompany the group for a sumptuous sit-down lunch. Choosing the gourmet lunch option is an upgrade, so is not included in the basic tour fee. If you decide to enjoy the gourmet lunch, you’ll be treated to a delicious three-dish meal. We can vouch for this- the restaurant serving your three-course meal offers options for both vegetarians, pescatarians, and carnivores. Wine pairing is included, of course! On this full day tour you won’t miss the opportunity to take amazing shots of the impressive Golden Gate Bridge. Your coach will make a quick stop, giving you to time to snap some photos. Located just 13 miles south of downtown San Francisco, the San Francisco International Airport, receives flights from all over the world; making the city highly accessible to would-be visitors. There are multiple options for transport from the airport to the city. BART is a rail system that offers service between the airport and the city, as well as to the surrounding Bay Area. San Mateo County’s transit agency, SamTrans, provides bus service from the airport to Transbay Terminal in downtown San Francisco. A taxi or other car-for-hire service such as Uber or Lyft are other options. Consider what you’d like to do before packing your suitcase. Do you plan to head to the beach, expect to dine in an elegant restaurant, or attend the symphony while you’re in San Francisco? Not only should your plans guide you in what to pack, you should also purchase tour tickets and make reservations in advance, for those things you definitely don’t want to miss out on. The San Francisco food scene will please the picky eater and foodie alike. Whether you prefer basic American grub or are into international cuisine, there’s a huge selection to choose from. For cheap eats you may consider a deli like the popular Molinari Delicatessen. For a slice of pie on the go, check out Golden Boy Pizza. If you’d like to treat yourself to an evening of fine dining, Kokkari Estiatorio offers a delectable Mediterranean menu; and Seven Hills is superb for seafood. As far as moderately-priced establishments go, give La Ciccia, an intimate Italian restaurant, a try. Other great mid-range places include Hog Island Oyster Company for delicious seafood or Roam Artisan Burgers for, well, burgers (vegan options available). There is no lack of after-hours entertainment in this active city. The performances at the Marrakech Magic Theater combine magic, illusion, and comedy for a thoroughly entertaining experience. A great place to relax with an adult beverage is the Cityscape Bar & Lounge, which has gorgeous nighttime views of the city. If you plan to make room for some culture during your visit to San Francisco, both the San Francisco Symphony and the San Francisco Opera give outstanding performances in their respective artforms. San Francisco has an excellent public transport system, so there’s no reason to go the rental car route. Public transport options include buses, streetcars, cable cars, light rail, and trolley coaches. Of course, taxis and services like Lyft and Uber are available as well. If you do plan to go with a rental car, rental agencies abound. Depending on the neighborhood and time of day though, you may find it challenging to find available, affordable parking. San Francisco offers accommodations for all budgets- from basic camping sites in Angel Island and Samuel P Taylor State Parks for those who okay with roughing it, to ultra-exclusive hotels like Fairmont Heritage Place in Ghirardelli Square. Economically-minded travelers might want to check out area hostels like the highly-rated Green Tortoise Hostel, or a mid-range option such as the chic Scarlet Huntington boutique hotel or the Victorian-styled Queen Anne Hotel. As a general rule, the Bay Area doesn’t get much rain, with very little rainfall from May to September. The area’s average temperature remains moderate throughout the year, with highs in the 60’s and 70’s and lows ranging in the 40’s and 50’s, year round. A trip to San Francisco wouldn’t be complete without snapping a selfie with the iconic Golden Gate Bridge as your backdrop. 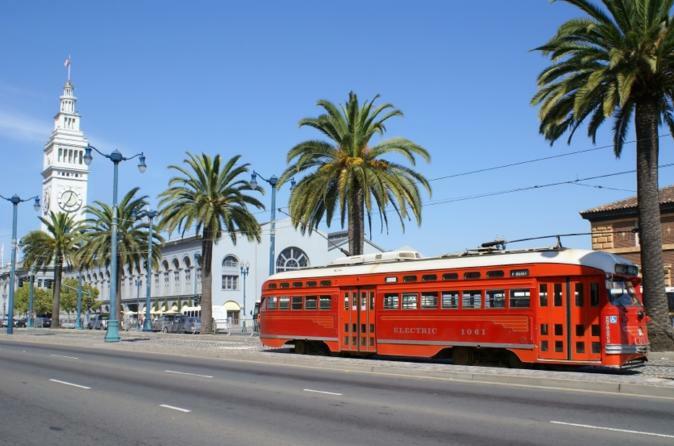 Other must-sees include the notorious Alcatraz prison; Fisherman’s Wharf for sightseeing and shopping; Lombard Street, known as the “crookedest street” in the world; and a ride on the city’s world-famous cable cars. Other fun things to do include the San Francisco Zoo and the Sea Lion Center. There are loads of parks and gardens where you can meander or enjoy a picnic lunch, such as the unique Japanese Tea Garden and the seaside park Land’s End. A trip to San Francisco wouldn’t be complete without a stop at Muir Woods, especially if you’ve never witnessed the unfathomable magnitude of a redwood forest. They must be appreciated in person, as pictures just don’t do them justice. There are a variety of tour experiences- from a simple trip to the woods or in combination with other fun and educational side trips. With a little research, you’ll be sure to find one that fits your needs and interests.